C. Dea Hethcote of Warsaw, passed away at 2:35 p.m. Thursday, Jan. 21, 2015 after a short stay at Millers Merry Manor of Warsaw at the age of 77. Prior to this, his wife Donna, served as his caregiver for the last two years in their home. He had extended treatment for cancer and was visited by Kosciusko Home Care & Hospice. Heathcote was a former resident of North Manchester. He was born on March 14, 1937, at Parks Farm in Huntington County to Hurshel Hethcote and Anna (Butler) Hethcote. 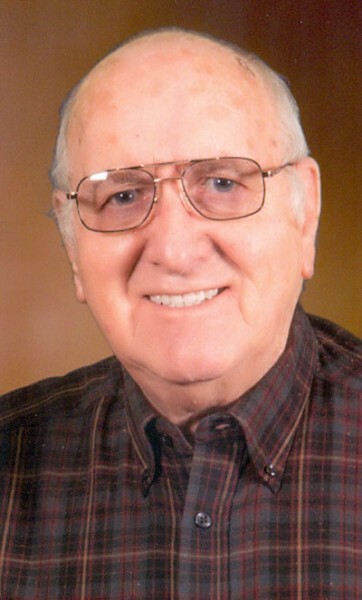 He graduated from Andrews High School in Huntington County in 1955. On Sept, 17, 1955, he was married to Donna S. Walton, who survives in Warsaw. They were married for 59 years and had one son: Timothy (wife Linda) Hethcote of Goshen; three daughters: Sheila (husband Rod) Grossman, New Paris, Deanna (husband Jeff) Cripe, Warsaw; and their infant daughter Brenda Gail who preceded him in death. Heathcote leaves behind nine grandchildren: Brenda Joy, Brian, Bethany, Sonja, Jennifer, Andrew, Claudia, Ryan and Ashley; as well as 17 great-grandchildren. Also surviving are three brothers, all of Warren: Merrill (wife Sandy) Hethcote; Max (wife Luella) Hethcote; Merritt Hethcote; and three sisters: Annabelle Friend, Warren, Arlis Jean Drabenstott, Huntington; and Janice (husband Jon) Kellam, Mount Etna. He was preceded in death by his parents, daughter, brother Hurshel Hethcote, Jr., and two sisters Wanda Hunnicutt and Melba Milar. Heathcote had worked at Schenkels Dairy Company in Huntington prior to becoming the co-owner and operator of Manchester Farm Center in North Manchester, retiring after 25 years. He attended the Church of God in Warsaw and was a member of and had previously attended North Manchester Missionary Church where he was active as superintendent, Sunday school teacher and song leader. He loved watching his favorite teams of Indiana University Basketball, the Chicago Bears, the Cincinnati Reds and the Indianapolis Colts. Dea loved traveling with his wife Donna, bird watching and feeding them. Visitation will be held from 2 p.m. to 5 p.m. and 6 p.m. to 8 p.m. Sunday, Jan. 25, at Redpath-Fruth Funeral Home, 225 Argonne Road, Warsaw. His funeral service will be conducted at 11 a.m. Monday, Jan. 26, at Redpath-Fruth Funeral Home and officiated by Pastor Tim Kumfer. Burial will follow with a graveside service at Monument City Memorial Cemetery, in Huntington County near Andrews, Indiana. Memorial donations may be directed to the K-21 Health Foundation, P.O. Box 1810, Warsaw, IN 46581-1810 and designate your donation to the Kosciusko County Cancer Care Fund; or to The Gideons International, Memorial Bible Chairman, P.O. Box 766, Winona Lake, IN 46590-0766 and would be appreciated by his family.